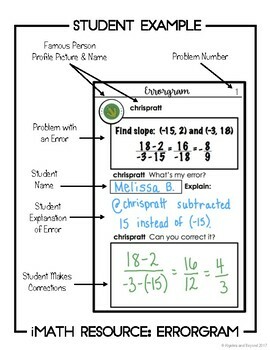 Errorgram is a spin on Instagram. Student sheets include a worked out problem using the slope formula that contains an error and space to state the error and correct it. 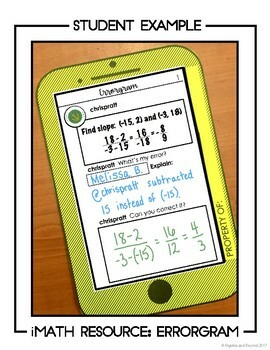 They add their sheet to their phone template and it can be hung up on a bulletin board for decor. 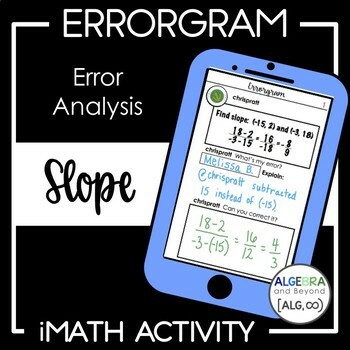 This specific Errorgram activity covers finding slope. 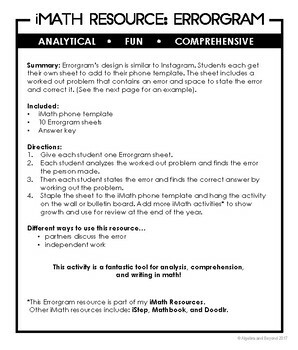 Add more iMath activities to the phone throughout the year. This helps to show student growth and use for review at the end of the year. Please look at the preview to find out more information about this resource.